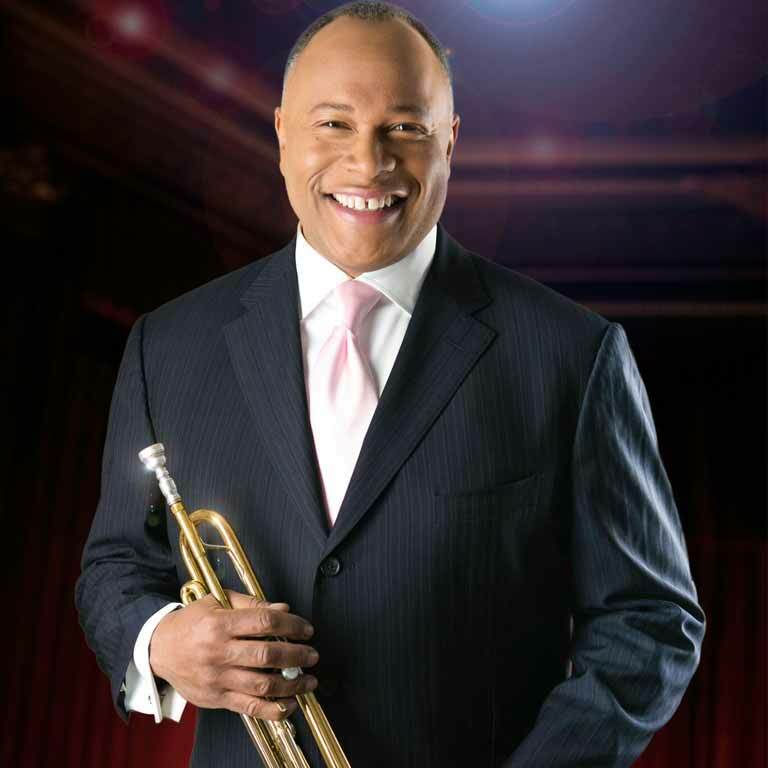 Byron Stripling’s electrifying and heartfelt tribute to Louis Armstrong has become America’s most popular orchestral pops program. With his engaging rapport, jazzy vocals and virtuosic trumpet sounds, Byron dazzles audiences wherever he goes. With his signature version of “When The Saints Go Marchin’ In” to close the show, Byron celebrates the spirit of New Orleans and always leaves ’em dancing in the aisles! Since his Carnegie Hall debut with Skitch Henderson and the New York Pops, Stripling has become a pops orchestra favorite, soloing with Boston Pops, National Symphony, Pittsburgh Symphony, Cincinnati Pops, Seattle Symphony, Baltimore Symphony, Dallas Symphony, Minnesota Orchestra, Detroit Symphony, Vancouver Symphony, Toronto Symphony, and Dallas Symphony, to name a few. He has been a featured soloist at the Hollywood Bowl and on the PBS television special, “Evening at Pops,” with conductors John Williams and Keith Lockhart. Currently, Stripling serves as artistic director and conductor of the highly acclaimed Columbus Jazz Orchestra. Stripling earned his stripes as lead trumpeter and soloist with the Count Basie Orchestra under the direction of Thad Jones and Frank Foster. He has played and recorded extensively with the bands of Dizzy Gillespie, Woody Herman, Dave Brubeck, Lionel Hampton, Clark Terry, Louis Bellson, and Buck Clayton in addition to The Lincoln Center Jazz Orchestra, The Carnegie Hall Jazz Band, and The GRP All Star Big Band.